I read Robin Wasserman's Book of Blood and Shadows a little over a week ago and I was hooked! It was amazing and I was really impressed with the writing. 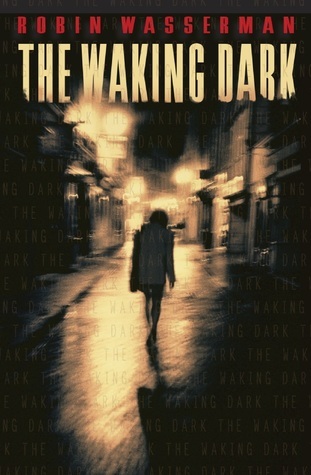 The Waiting Dark sounds equally atmospheric - creepy, violent, intriguing, with a cast of very different characters. The 'awful things happening in a sleepy town' thing also reminds me of Stephen King novels. I really hope this one is as great as it sounds! What do you think of the description? Is this your kind of read? And what book are you highlighting this week? Wow- I can't believe I have never heard of this author or these books. Suspense, thrillers, mysteries are my favorite genre and I obsessively keep track of them :) Thanks for giving me a new title to wait for! Oh I love this cover! It looks so dark and mysterious :) Thanks for sharing. I grabbed an ARC of this at BEA and I still need to get to it, but it sounds fantastic! I have heard SO many good things about Robin Wasserman, it sort of boggles my mind that I haven't read anything by her yet o.O The Book of Blood and Shadow is definitely on my reading list though - hope you can get your hands on this one a.s.a.p and I hope you LOVE it!! I've been hearing that this one is super dark and creepy! I hope you enjoy it! Sounds great! YES! I loved Book of Blood and Shadow, as well, and I *just* got a galley of this one. Can't wait to start it! I loved her other book, The Book of Blood and Shadow, so Im totally reading this one.